We are located next to the Discovery Harbour Marina which is a full service marina offering boat moorage, power, water, washrooms, showers, laundry facilities, parking (including boat trailers), and ice. 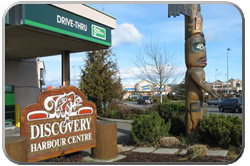 We are also located near Campbell River's Discovery Harbour shopping Mall which offers easy access to a grocery store, restaurants, pubs and other shopping and amenities. 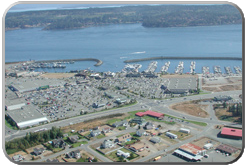 Also near Ocean Pacific Marine Store & Boatyard.